Manufacturing Management System is a system that keeps track of sales and materials of the company. Properly managing in sales and inventory is essential to this growing company. 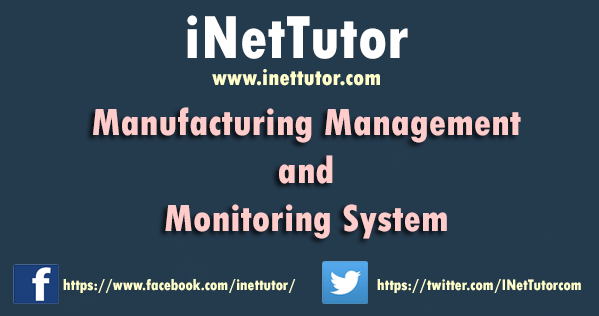 Manufacturing Management System provides information to efficiently manage the flow of their data, effectively utilize time. It would also cut down the time in finding the files where it has been stored. This project Online Recruitment Application with Mobile Support is an online website with mobile app in which jobseekers can register themselves online and apply for job and attend the exam. 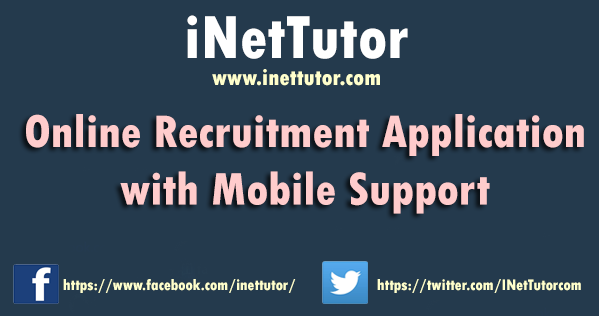 Online Recruitment Application with Mobile Support provides online help to the users all over the world. Using web recruitment systems like recruitment websites or jobsites also play a role in simplifying the recruitment process. Such websites have facilities where prospective candidates can upload their CV’s and apply for jobs suited to them. Such sites also make it possible for recruiters and companies to post their staffing requirements and view profiles of interested candidates. Earlier recruitment was done manually and it was all at a time consuming work. Now it is all possible in a fraction of second. It is all done online without much time consuming. Today’s recruitment applications are designed to do a whole lot more than just reduce paperwork. They can make a significant contribution to a company’s marketing and sales activity. Recruitment websites and software make possible for managers to access information that is crucial to managing their staff, which they can use for promotion decisions, payroll considerations and succession planning. 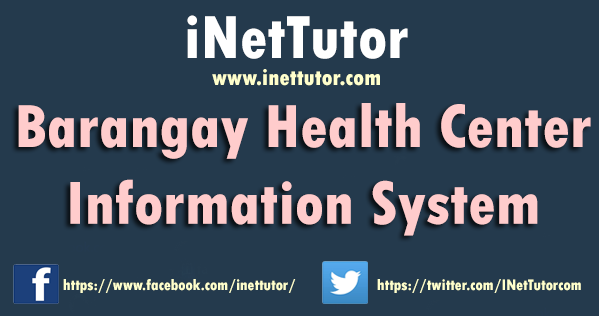 The Barangay Health Center is using a manual system in terms of implementing medical services, health programs, health monitoring and profiling. These transactions as implemented by a midwife in-charge in a barangay health station are done manually. The different processes involved in health programs are: immunization, tuberculosis, and family planning; medical services involve medical care, consultation, child care, postpartum, and prenatal; health monitoring involves users, early childhood care and development, morbidity, and animal bite; and profiling involves family profile. 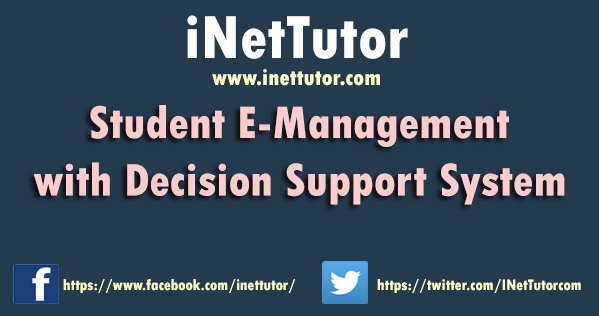 Student E-Management with Decision Support System would be a system or set up that has a student’s data. The student’s data could be a sort of information from student personal information to grades or drop out reports, just as long as it stored or accessed on a computer. 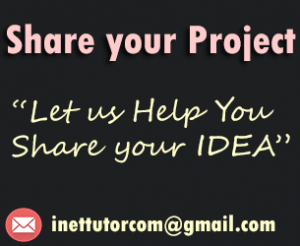 It can help organize data and keep track of the number of the student’s in every school year in a structural way using an information system. A student information system provides teacher‘s and the guidance office or registrar with useful tools to automate the daily routine of simple tasks. The management of the student’s record provides a framework in which recordkeeping processes can be effectively implemented in order to make and manage record as long as they are needed and provide of decision support of the Information System.